Rome is an expansive city rich in history and culture, making it one of the must-see locations of the Italian peninsula. The only way to have a complete, enjoyable, and satisfying tour of this unique open-air museum is obtained through the combination of an expert driver, and a licensed city guide. Fortunately, with Italy to the Max, you get all of this and more. Your driver and the guide will meet you at your hotel—we will make sure you won’t miss any of the major highlights of the city—in preparation for your exploration of this ancient and historic city. The driver will navigate through the busy Capital’s streets, while your guide will explain the fascinating history of Rome. 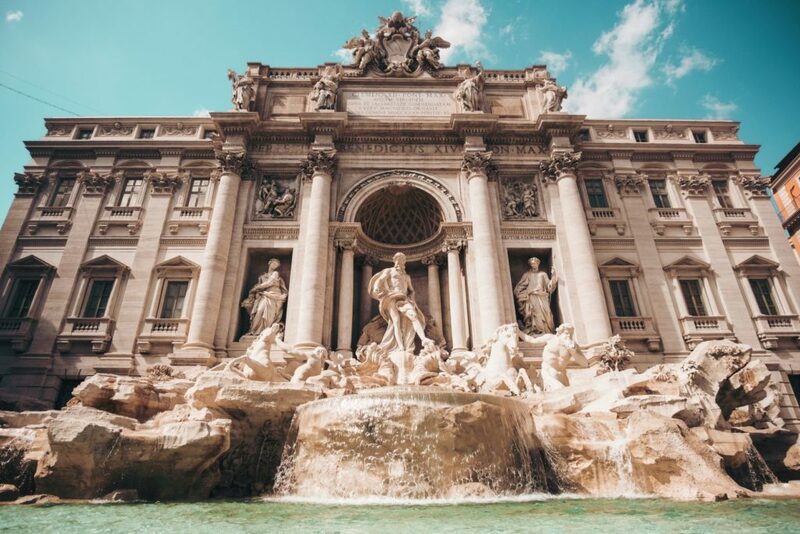 The car at your disposal will deliver you adjacent to all the major sites, such as the Baths of Diocletian, the mausoleum of Augustus, the Roman Forum, The Circus Maximus, the Pantheon, the Trevi Fountain, and the famously iconic Coliseum! Your guide will walk you through the art, the history, and the charm of these rare jewels of a bygone era! The final stop for your tour will be The Vatican, featuring the Sistine Chapel and St. Peter’s! Your guide will spend the last couple of hours with you while walking through the museum—you can enjoy a hassle-free experience without any lines or waits—here before going back to your hotel. Start planning your Rome tour today. This half-day walking tour offers an experience of Roman history in the 15th Century! With your licensed guide you will explore Piazza Navona, Piazza di Spagna, and the Pantheon! You will have the opportunity to admire the masterpieces of Bernini, Caravaggio, Michelangelo, and the Raphael’s frescoes inside Santa Maria della Pace. Be sure that you take a picture or three of the famous Fontana di Trevi before heading back to your hotel. Keep in mind this is a walking tour, however a driver can be arranged upon request if needed. The half-day can be extended upon reservation to a full-day, including a tour of the Vatican, Sistine Chapel, and Saint Peter’s Square. 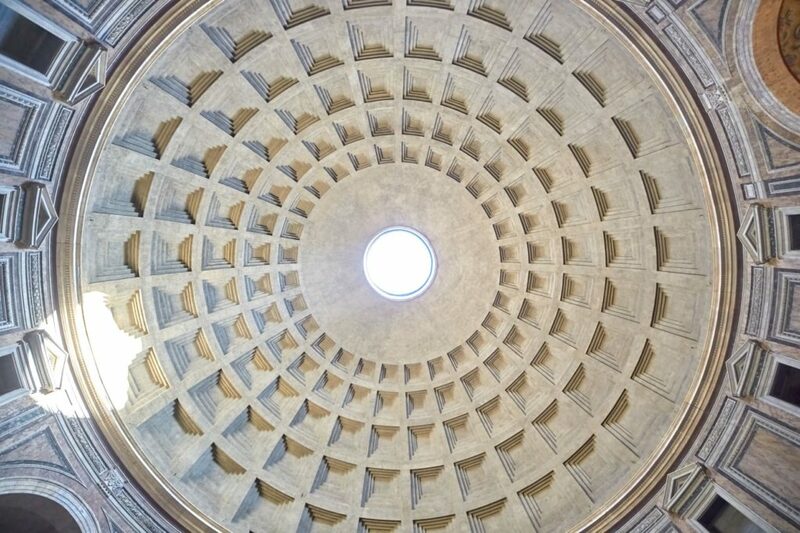 Start planning yourcustom itinerary now for this beautiful tour of Rome! This walking tour starts from the “Old Ghetto,” heart of the oldest uninterrupted Jewish community in the entire world! Your guide will provide to you a complete overview and recount of the history behind this community, from origin to modern-day! You will have the opportunity to learn about the culture, traditions, language, and food of this historic community! Together, you will also have an opportunity to visit the Jewish Museum of Rome and the massively beautiful, recently restored Tempio Maggiore, The Great Synagogue of Rome. The best way to start your day in the Eternal City is having a cappuccino and cornetto in the most authentic of the Cafe in the area, Caffè Sant’ Eustachio adjacent to the astounding monument of the Pantheon, where Raphael, one of the Masters of the Renaissance, is buried. After breakfast, you will be ready to move to Campo de Fiori, which is ancient flower market. There is a very colorful local food market and you can immerse yourself in its lively atmosphere and taste different types of olive oils, balsamic vinegars, homemade jams and seasonal fresh fruit. After the nice stroll you will reach a true Roman Forno, (Bakery) where you will taste a slice of freshly prepared, hot Pizza bianca with Mortadella; a classic Roman tradition. In a few blocks, you will enter an old, local grocery store with the most amazing selection of cheeses, hams and cold cuts coming from all the Italian states. Their products are all DOP certified ensuring the highest food standards in Italy. In another traditional bakery you will also get the chance to try some porchetta, seasoned and spiced baby pork roast, typical of the rustic and “poor” Roman cuisine and taste a slice of an award-winning Pizza Margherita and finally try a suppli,’ a rice ball snack invented in Rome in 1874. Don’t forget to leave some space for a true Italian Gelato in one of the oldest and most renowned gelateria in Rome. Just about 30 minutes outside of Rome is the charming town of Tivoli. At one time Tivoli served as the location of the quarries which provided the construction materials for the major monuments of Rome! Today, it has become a favorite residential spot for the rich Roman elite. Your driver will pick you up at your hotel in Rome and take you to Tivoli where you will meet your licensed guide. Here, you will be first shown the magnificent Hadrian’s Villa, essentially a small town by itself! The villa serves as a wonderful example of Roman architecture and engineering, and how it endures to this day! As you walk through the vast estate, your guide will share with you the high-points of everyday life in the II Century. After lunch you will move to Villa d’Este, where you will be greeted by lush gardens and imposing fountains, built for Cardinal Ippolito d’Este in the middle of the fifteenth century. One of the most iconic cities of the Roman Era is Pompeii, a picture frozen in time by a natural disaster, providing a window into the life and times of this enigmatic city. Your driver will meet you at your hotel in Rome and drive south to the region of Campania. Just outside Naples you will reach the archeological site of Pompeii, the roman town destroyed by the eruption of the volcano Vesuvius in 79AD. Here, you will meet your licensed guide for a deep exploration of this incredible site. Walking through the streets you will learn about the life, the architecture, the commerce, and political structure of this community frozen in time. Pompeii was engulfed by a river of lava and mountains of ash, erasing it from the face of earth until the first excavations started in the seventeenth century. Start planning your tour of Italian history today. This is a three-hour tour that will give you the most complete experience of the Vatican City, a place shrouded in the mystery. Enjoy a chance to see the seat of power on the annals of ancient history! Your driver will meet you at your hotel and drive you to the Vatican Museums’ main entrance. Here you will meet your licensed guide. Without needing to wait in line, you will start an unforgettable journey through the heart of Christianity and Christian History. You will be able to admire the timeless beauty of the Sistine Chapel, the massive Saint Peter’s Basilica and the famous Michelangelo’s Pieta’. At the end of the tour you will meet with your driver to either go back to your hotel, or take the opportunity to be dropped off at a nice restaurant for a relaxing meal after such an overwhelming experience. Visiting the Vatican just got more private and personal. Take the opportunity now to get inside the Sistine Chapel and marvel at its entire splendor before it opens to the public. Your driver will pick you up at your Hotel and take you to the Vatican to meet the licensed guide whom will introduce you to all the art, paintings and history of the most famous Chapel in the world. You will be at lost for words while admiring Michelangelo’s The Last Judgment and all the other masterpieces from Pinturicchio, Botticelli and Ghirlandaio. You will have the privilege to see all of it before it is open to the general admission and you will be ahead of the crowd for the rest of the tour. 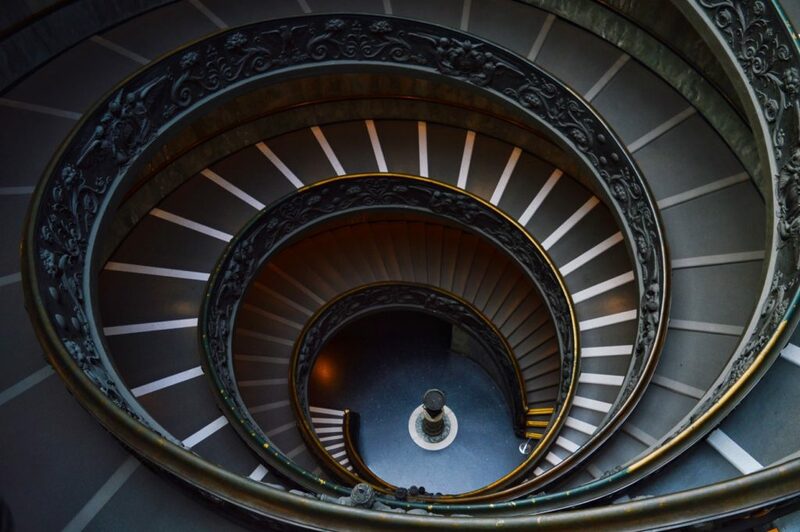 Next you will stop to visit the Vatican Museums, home of a huge collection of masterpieces by Raphael, Caravaggio, Giotto, Leonardo Da Vinci and many others. To finish, the imposing Basilica of Saint Peter’ will be the perfect end for this amazing tour with its Michelangelo’s Pieta’ and Bernini’s Ciborium, among all the other jewels of the greatest building of its time. 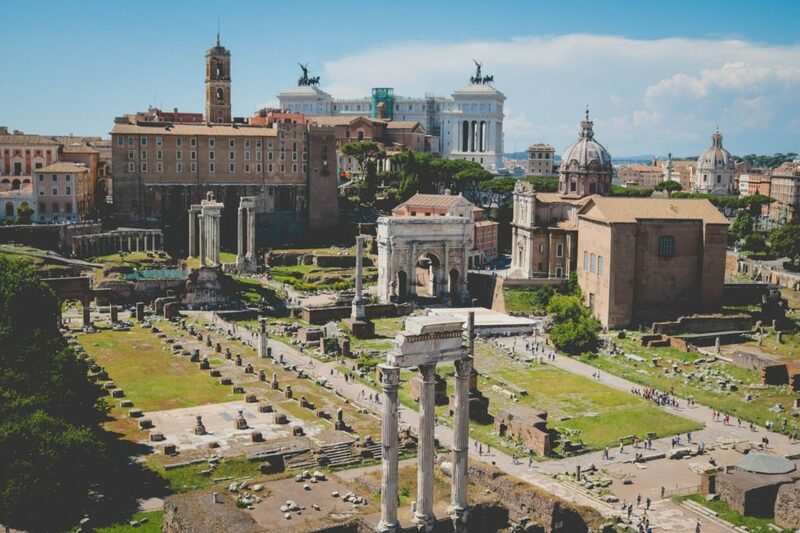 Your licensed guide will meet you at your hotel and together you will reach the heart of the Capital for a half-day tour focused on Ancient Rome, tracing the history of the glorious past of the Eternal City. You will walk through the monumental ruins and imposing buildings to understand the politics, religion, and organization of ancient Rome. You will start visiting the Colosseum, one of the most fascinating buildings of all time. Here your guide will tell you its history as well as talk about the gladiatorial battles and executions that took place here. Thanks to our privileged access to the Arena floor-through the entrance used by the Gladiators themselves- you will experience the same amazing view of the Colosseum as the fighters experienced thousands of years ago. At the same time you will be walking on top of the underground areas where the ferocious animals had their cages and the Gladiators awaited their fate. Next you will walk the Roman Forum, once the social and political center of Rome, location of the most important buildings, site of public speeches, trials, gladiator fights, and the commercial heart of the Empire. From here you will reach the Circus Maximus, the largest venue for public games and religious festivals: a fascinating journey to understand everyday life at the Roman times, as well as learn about the rise and fall of the Roman Empire. Time permitting the last stop will be the Basilica di San Clemente, one of the most interesting churches in Rome with its three levels: the Basilica dating back to the 1100s, a pre-existing 4th-century church and, finally, in the very last level, an old roman noble residence.